SOCIAL MEDIA: HOW IS IT INFLUENCING SOCIETY, AND HOW SHOULD IT INFLUENCE IT? 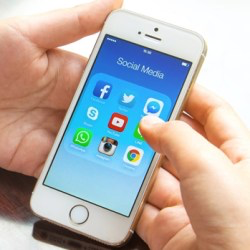 Social media is pervasive in the connected world. Facebook now has over 2 billion active users, Twitter shares over 500 million tweets per day, Youtube receives 300 minutes of uploaded video content every second, LinkedIn has become the de facto professional platform, and Snapchat, Instagram, Pinterest, Tumblr and others are thriving for some purposes and audiences. With billions of people spending so much time in social media platforms, it is increasingly important to understand how these platforms are shaping our society. Austin experts and leaders will discuss & debate the current issues in social media—news consumption, fake news, digital privacy, influence on younger audiences, and more—share their recommendations for how social media platforms should be used, enhanced and/or limited, and potentially even regulated. There will be an extensive Q&A period for attendees followed by a networking event with the speakers and other experts on the topic. It is sure to be a lively night of discussion at the Austin Forum! Sherri Greenberg is a Clinical Professor and Fellow of the Max Sherman Chair in State and Local Government at the LBJ School of Public Affairs. She is a Vice- Chairperson of the Board of Managers of Central Health, a Member of the City of Austin Regional Affordability Committee, and a Member of the UT Opportunity Forum Steering Committee. Also, she serves on the Texas.Gov Steering Committee, the Austin CityUP Board of Directors, the Austin Forum on Technology & Society Advisory Board, and the City of Austin General Obligation Housing Bond Review Committee. Additionally, she has served as a Senior Advisor to Austin Mayor Steve Adler. Greenberg was a Texas State Representative from 1991 to 2001, and she chaired the House Pensions and Investments Committee and the Select Committee on Teacher Health Insurance. She also served on the House Appropriations,Economic Development, Elections, and Science and Technology Committees. Previously, Greenberg was the City of Austin Capital Finance Manager, and a Public Finance Officer at Standard & Poor’s. Greenberg holds an MSc in Public Administration and Policy from the London School of Economics. Her teaching and research interests include: technology and innovation, urban and state issues, public engagement, housing, transportation, healthcare, public finance, and campaigns and elections. Her recent publications are: Congress and Social Media: Beyond Facebook & Twitter, Using Innovation and Technology to Improve City Services, Austin Anchors & The Innovation Zone: Building Collaborative Capacity, Congressional Committees and Social Media, and Congress + Social Media. Amy Atchley is a marketing leader possessing a diverse and unique skill set that draws from over 15 years of experience working for Fortune 500 companies and distinguished non-profit organizations. An expert in brand experience, marketing strategy development and social media networking, Amy has been recognized as one of the top marketers in her field, and is frequently asked to present best practices to other organizations looking to improve their brand. Well versed in the varied disciplines of digital marketing and with multiple business cases to include her current work at Austin Energy, Amy uses social media to influence behavior regarding mobility to include low income communities. Prior to Austin Energy she was the Director of Marketing and Social Media at Meals on Wheels Central Texas (for over 10 years), provided marketing MTV Networks for the VH1 Save the Music Foundation, and implements her own social media in promotion of being an Austin singer/song-writer. Amy is a current member of the City of Austin’s Equity Action Team. She brings a perspective and passion to her role at Austin Energy that is focused on creating human centered designed programs that insure communities are not left behind as emerging technologies become mainstream. Bobby Chesney is the James Baker Chair at the University of Texas School of Law, where he also serves as the Associate Dean for Academic Affairs. Separately, he serves UT as Director of its campus-wide Robert Strauss Center for International Security and Law (an interdisciplinary unit designed to bring different parts of the university together to further education and policy-relevant research relating to pressing national security and foreign affairs challenges). One of the Center’s marquee programs is its Integrated Cybersecurity Studies initiative, which aims to distinguish UT-Austin with respect to (i) interdisciplinary cross-training relating to cybersecurity for all graduate students and (ii) related LLM opportunities. Professor Chesney previously served as a member of the Director of National Intelligence’s Advance Technology Board and as an associate member of the DNI’s Intelligence Science Board, as well as a member of the President’s Detention Policy Task Force. He is one of the three co-founders of Lawfare blog, and writes there each week. He also co-hosts the weekly National Security Law Podcast. Rod Favaron has served as Chairman and CEO of Spredfast since 2011. A veteran of the tech scene for over 30 years, Rod has a history of developing talent and businesses in Central Texas. Prior to Spredfast, Rod guided Lombardi Software from an early start-up into a global leader in BPM solutions acquired by IBM in 2010. Before that, Rod served as CEO of Mediaprise Inc, SVP Sales & Marketing for pcOrder.com, and GM at Mentor Graphics Corporation. Rod earned a bachelor’s degree in Industrial Engineering from Louisiana State University, and an MBA from the University of Dallas Graduate School of Management. Rod serves on the Boards of Directors for Bypass POS, Upland Software, the Austin Technology Council, and is a mentor to many technology entrepreneurs. Amanda Zamora leads The Texas Tribune’s audience growth and engagement efforts. 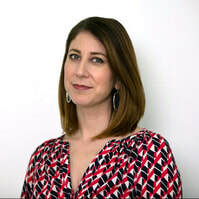 A native Texan, Amanda joined the Tribune in 2016 after spending 13 years on the East Coast working for news organizations including The Huffington Post Investigative Fund, The Washington Post and ProPublica. Amanda got her start as a cub reporter at the Austin American-Statesman after graduating from the University of Texas. She strives to leverage her storytelling, digital and audience skills to create journalism that actively engages people in the issues that matter most to them. When she’s not poring over spreadsheets, she’s (hopefully) dancing, cooking or traveling the world.